Hockey! I come from a hockey town (Pittsburgh). And as a kid growing up, my mom and I were glued to the tv for just about every figure skating show or event on tv and I just fell in love with it. 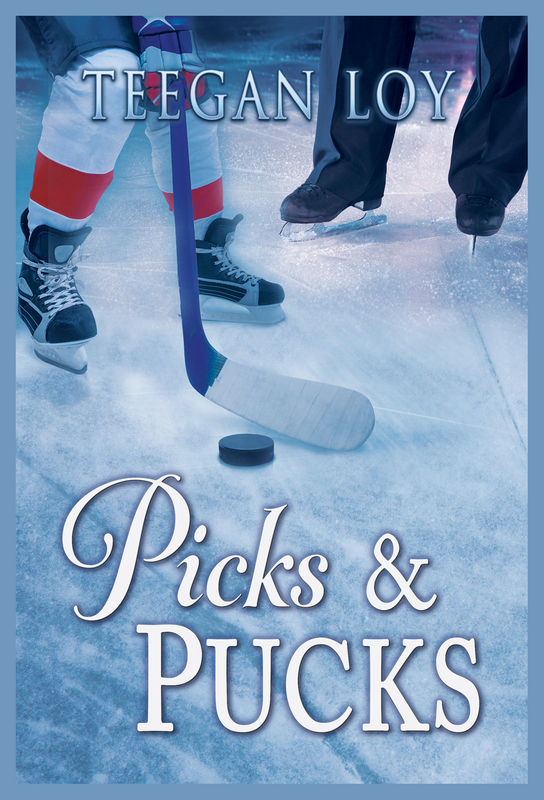 So I am excited about the author we have for today and her upcoming book, Picks and Pucks. Take it away, Teegan! Thanks for having me on your blog, Grace. I guess this would be considered the first official introduction of my upcoming release called Picks & Pucks, and it’s the absolute perfect day for me! Today is the semi-finals of the NCAA Frozen Four tournament. AND by coincidence, my wonderful alma mater is playing in the semi-final game tonight. GO UND! Release date for the book is April 21, 2014. Hopefully, most of you can tell what the book is about from the title. Picks refers to those jagged teeth on figure skates and pucks represent the game of hockey. People always like to give advice to writers, and one of the most often quoted piece of advice, is write what you like and what you know. I don’t remember a time when I didn’t know how to skate. When I was a youngster, I took skating lessons and performed in shows in sparkly costumes. I adored the ice. But as I got older, I had to make choices. And when it came down to choosing between volleyball and skating, I opted for volleyball. 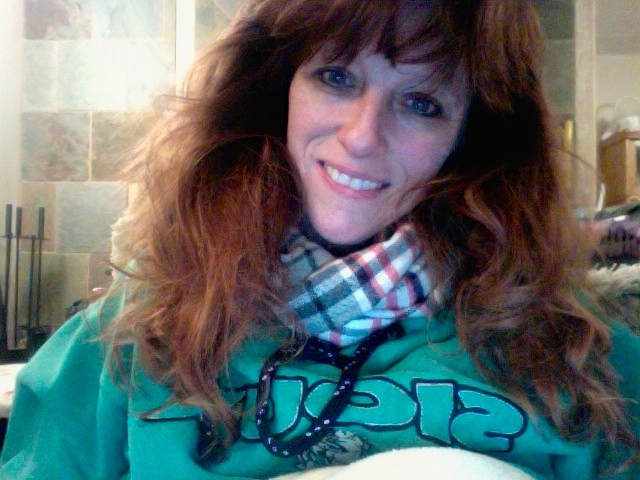 Not because I didn’t love skating, but because I despised getting up at 5 a.m. in the bitter cold of winter, and playing volleyball meant more time spent with friends. Singles skating can be a lonely sport. But I couldn’t stay away from the ice. A few years later, I was back as a figure skating coach. I taught a lot of little boys and girls how to skate. Some went on to compete in skating, and others went on to play hockey. I will always believe that a great hockey player has to learn how to skate before he or she picks up a stick. So, I’m writing what I know and what I love, and I can honestly say that when Justin skates his programs in my story, I can see every connecting step, jump, and spin in my head. I picked his music and choreographed his programs like he is a real person. I hope I can bring him to life for you. Rising men’s figure skating star, Justin Corrin, is coming home to train for the upcoming season and face his demons. The last thing Justin needs is to fall in love with a hockey player. Instead of getting rid of his demons, Justin is collecting more. He tries desperately to control his growing feelings for CJ Daly, but finds being with CJ keeps his nightmares away. Jack threw another puck at me, and I snagged it out of the air with my stick so it settled on the blade. Jack shook his head, trying to hide his awe. The memories fogged a little, so I wasn’t really clear on what happened next, but somehow we got into a huge argument about figure skating and hockey. I remember opening my big mouth, proclaiming neither was very hard. Janae and her coach, Marina Kirolova, scoffed at me. Jack shook his head and looked like he wanted to stuff a puck down my throat. Before I knew what was happening, Marina and Janae had me in figure skates. At first the toe picks messed me up, but after a few laps, I was racing around the rink. Out of the corner of my eye, I could feel Marina watching me closely. Teegan Loy began writing a long time ago. Notebooks filled with ideas were stacked around the house. One day, she sat down with renewed ambition and something fantastic happened: she completed a story. Now most of her time is spent writing, but she takes occasional breaks to go to the movies, where she imagines her stories on the big screen. She also enjoys watching hockey, filling her iPod with music, and driving her daughter around town to various activities. Lovely post! It’s so great when writers have a passion that they’re able to bring life to through their writing. This sounds like a fun story, I’ll have to check it out! Congrats on the upcoming release!